In this showdown, the hybrid motor makes the essential difference. 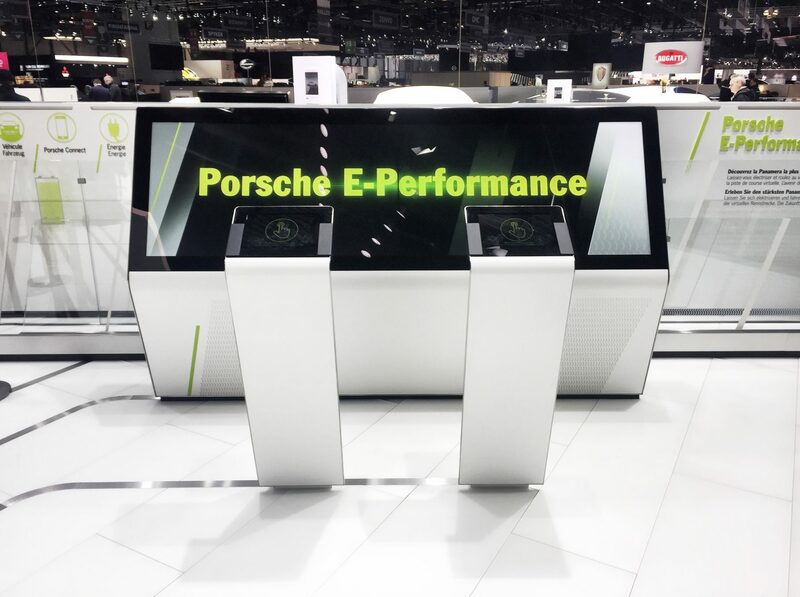 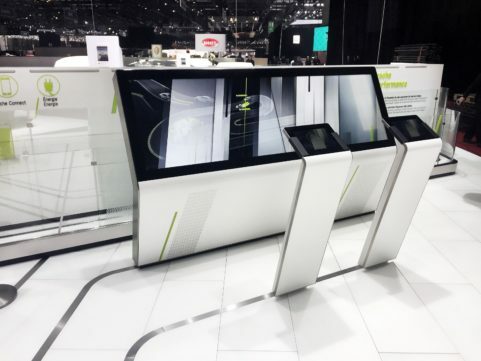 In cooperation with Copyright Communications GmbH, a video game-like exhibit was created, which presents the new Porsche Panamera Turbo S E-Hybrid and its combined power coming from the combustion engine as well as electricity. 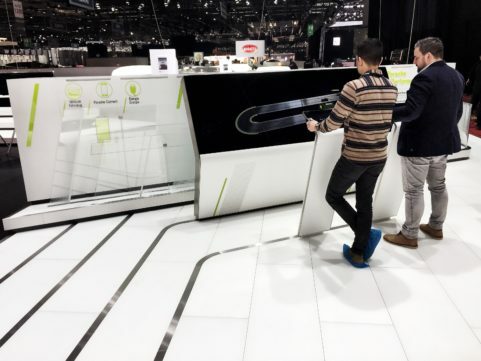 In the style of a classic Carrera racetrack, two players compete against each other for the best lap time and first place in the high score. 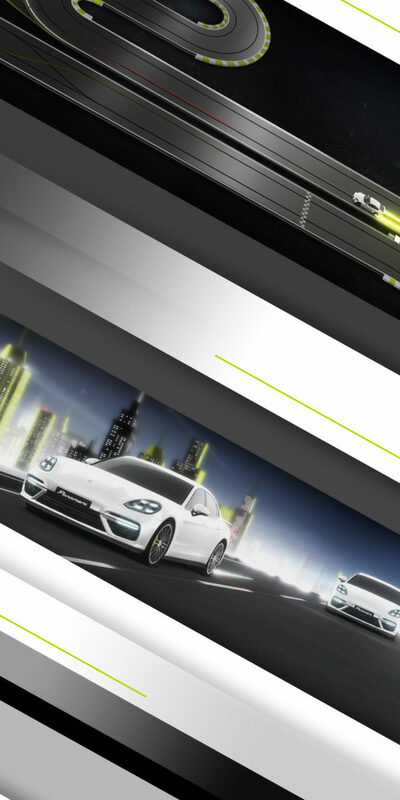 The game mechanics focus on optimal braking in corners to charge the electric engine of the Porsche Panamera and boosting to convert the collected energy into additional power on the straight parts of the track. 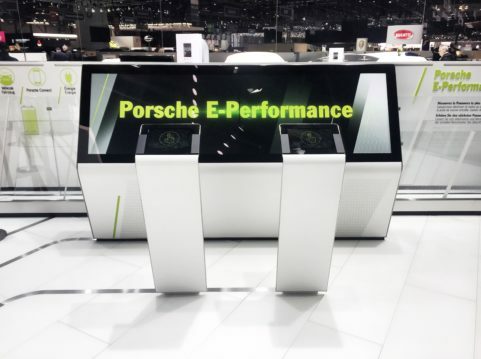 This playful showcase explains Porsche’s e-hybrid philosophy, which combines e-mobility with the power of a well-rounded sports car. On the technical side, the installation consists of two bezel-less 55′ monitors, showing the complete race track in a 32:9 aspect ratio. The users interact using two Microsoft Surface Pro Tablets, which are mounted separately in front of the display. 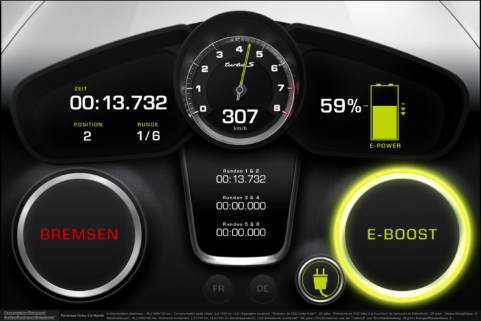 The E-Performance Challenge was first presented at the Geneva Motor Show in March 2017.